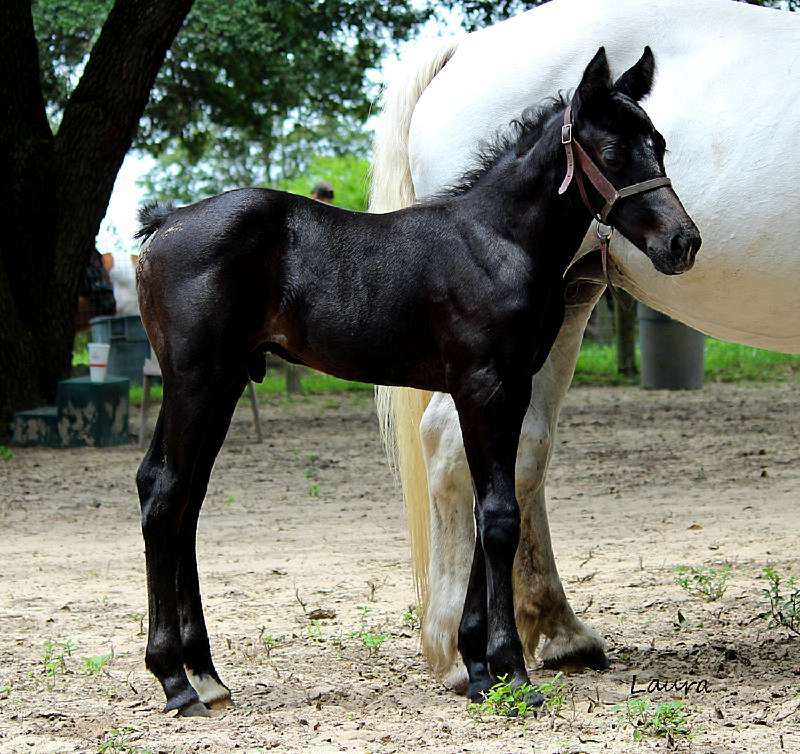 Handsome black (at this time) turning grey colt with a star, stripe, snip and a little bit of white on his back feet. 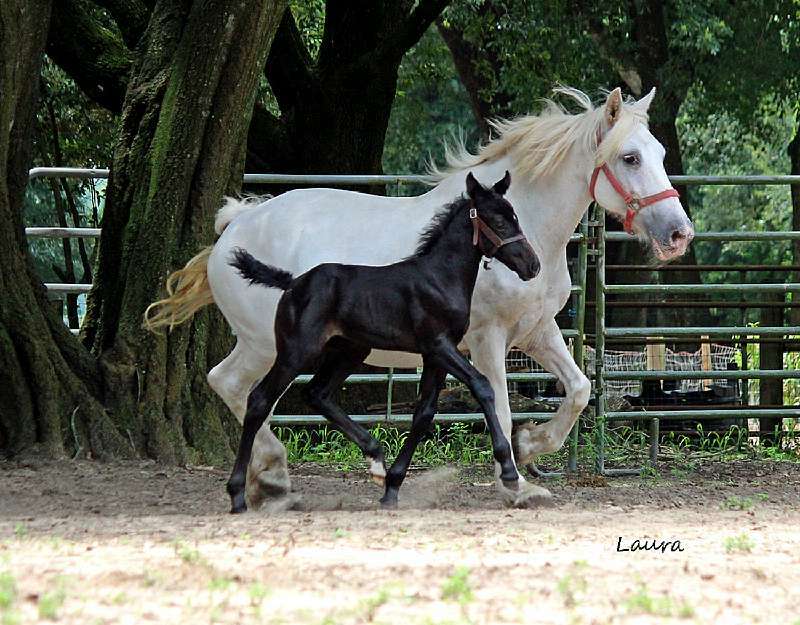 He is out of our fabulous North American Sport Pony Mare, Fox Trot, and sired by our own Weser Ems Stallion, Le Andros (Le Santo) He definitely has good bone and a super personality. 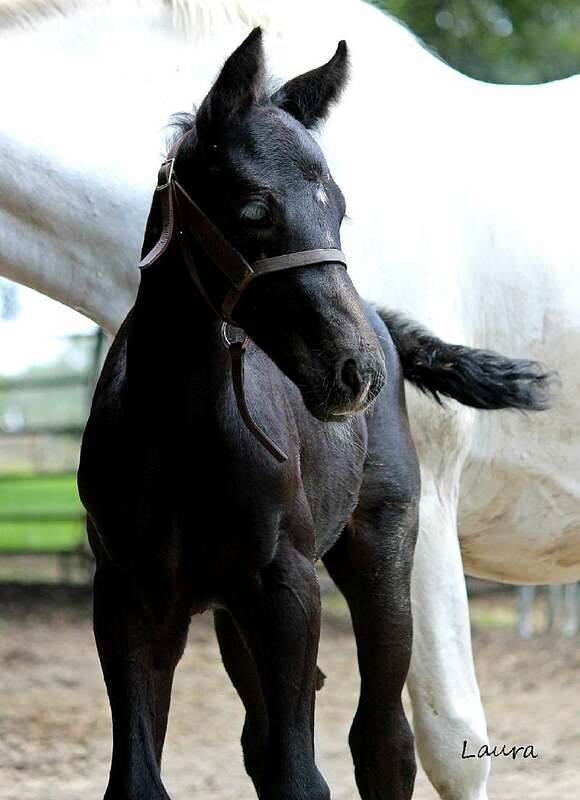 L'Excalibur was named a 1st Premium foal at inspection on Nov. 29th scoring a 78!! 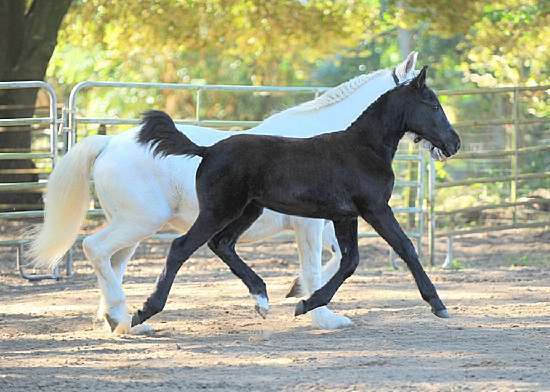 He is Registered with The American Warmblood Registry and Lifetime Registered with USEF. 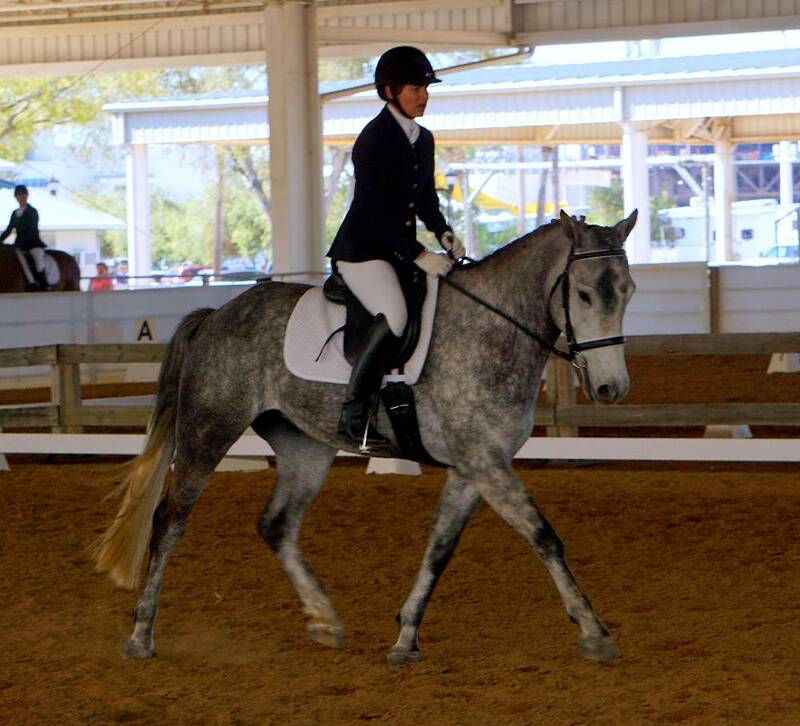 Lester (as he is affectionately known by his new owner) began his show career with Adult Amateur owner, Marie, in 2018. We couldn't be more proud of how this pair is developing! !